Ormonde Jayne is a house that has always sat on the periphery of my perfume sampling. I have tried a number of their fragrances in passing (I have tried a shocking amount of things “in passing”) and have even visited one of their boutiques, but I don’t feel that I’ve paid them the attention that they deserve. So when the lovely people at Ormonde Jayne offered to send me one of their discovery sets I was more than happy to accept, because Ormonde Jayne is a house that I want to get to know. 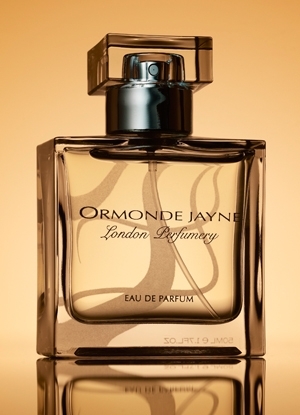 Launched in 2002, Ormonde Jayne is a British perfume house created by Linda Pilkington. The Ormonde Jayne philosophy is simple: “[…]quality and true luxury, the pursuit of beauty and elegance.”  There is something very appealing about the sleek simplicity of Ormonde Jayne and the lack of bells and whistles is appealing. But don’t let that fool you, the perfumes themselves are very complex indeed. This review focuses on Ormonde Jayne’s two signature fragrances: Ormonde Woman and Ormonde Man, both of which have been highly praised by many and received five star reviews from Luca Turin and Tania Sanchez in Perfumes: The Guide. Both wood-based fragrances are as enigmatic as they are sophisticated and having spent sufficient time with them I can understand why they are so highly regarded. Ormonde Woman is an incredibly beautiful perfume. Really, that’s all you need to know, but I would be lazy if I didn’t review it and Ormonde Woman deserves proper discussion! It open with the smell of damp grass littered with herbs and delicious cardamom. There is a nice contrast between the dry green notes and a soft underlying sweetness that carries through Ormonde Woman’s development. Black hemlock, which is not poisonous BTW, adds the aroma of pine to the mix, but it’s a very soft, blurred pine, Ormonde Woman does not scream forest and I would say that it reminds me more of old discarded pine cones than the living, breathing pine trees. Jasmine and violet join the foray and give the green notes a delicate sweet edge that stops Ormonde Woman from ever being too harsh. The base is chock full of creamy woods, accented by vetiver and maybe a little bit of musk. It’s so warm and cosy that one can imagine wearing it on a cold, autumn walk, the smell wafting up from the biggest, most comfortable wooly scarf. As warm as it is, I can’t help but feel that there is something almost melancholic about it, as if the comfort is there because of some deep sadness. It’s an odd feeling to describe but there is definitely something quite moving about it. Ormonde Woman is an incredibly beautiful perfume. Ormonde Man follows a more dry, spicy route than Ormonde Woman. It opens with the bright zing of juniper and pepper with the gourmand-spice of cardamom, but rather than being an explosion of aromatic and spices, Ormonde Man opts for a more subtle crackle, giving the impression of a more refined style of luxury. The zing of the opening soon makes way for a heart of rich woods. A blend of oud, cedar, hemlock sandalwood and vetiver manages to smell deep yet light, its as if the depth of the materials is seen from a distance and one only realises their scale as one peers over the edge. To me Ormonde Man can be summed up in one line; deep, rich woods that are quiet and un-oppressive. A cool metallic vetiver joins the woods and musk in the dry down, giving Ormonde Man a more damp, earthy and slightly sour base that lasts a decent amount of time for something so quiet and understated. I would describe the base as being a “nose-pleaser” simply meaning that you just want to keep sniffing it. Ormonde Woman and Ormonde Man are both available in 50ml Eau de Parfum for £80 and there is a pure parfum for Ormonde Woman (prices from £184). Matching body products are also available for both scents. 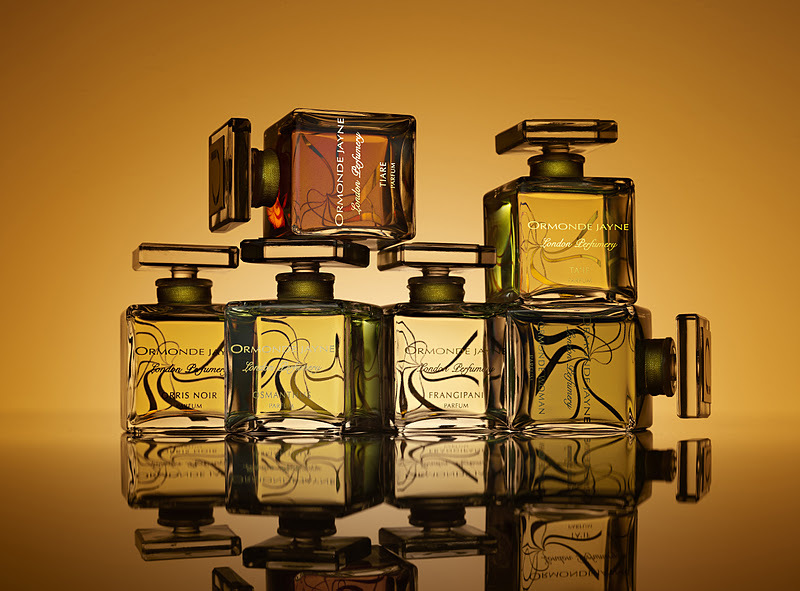 A discovery scent containing 2ml samples of each of the Ormonde Jayne fragrances (12 in total) is available for £48 and is a great way of getting to know the line in great detail. PR sample. Image 1 frumpytofunky.blogspot.com. Image 2 & 3 fragrantica.com. Notes via basenotes.net. ormondejayne.com. Posted in Feminine, Green, Masculine, Ormonde Jayne, Oud, Perfume Reviews, Woody and tagged Green, Ormonde Jayne, Ormonde Man, Ormonde Woman, Perfume, Woody. Bookmark the permalink. Ormonde Jayne is one of my favorite brands: there isn’t a single perfume in the line that I do not like. You forgot to mention one great option – a travel set 4 x 10 ml. It’s very convenient for both traveling and splits. I did forget, thank you for reminding me 😀 I shall add them on to the post. Can’t believe I asked your opinion of this only yesterday! Well, this review is quite an answer. I am determined to get to know and love Ormonde Woman. I think it’s the darkness in it that un-nerves me but next time I will also look for the comfort you mention. Pine cones bring back happy childhood memories for me so I’m glad you found that in there too. I’ll spray on skin next time I go to Harrods, I think that will help as opposed to testing it on paper. Weird huh?! 😛 BTW, I haven’t forgotten your e-mail I shall reply later today. I think you’d really like Ormonde Woman on skin, the darkness is relatively soft. Do try it! Ormonde Woman is so beautiful and your elegant review does it justice. It is the most unique perfume in a generally very well done line. Ormond Man is good too but a bottle of Ormonde Woman has been on my wishlist for a long time. I hope you get your bottle of Ormonde Woman soon! Melancholic is the perfect word for Ormonde Woman! It always reminds me of Emily Carr paintings, ans she was a sad woman. Frangipani is on my wish list, but i have been wearing the heck out of Ta’if lately. I don’t know why but it’s making me happy in the summer heat. I can totally see the Emily Carr reference! Ta’if is one I’ve not tried, I shall make sure to pull it out of the box later! I’m glad it’s good for you in the summer heat. years ago I did order the sample set and it was not before yesterday, that I tired Ta’if for the first time. It is an extremly “satisfying” scent, I am impressed! Sure, the scent might have changed due to the many seasons the sample has been sitting in my drawer. (airtight, in darkness). I like the sweetness a lot! A nice alternative to gourmand oud scents. Earthy, woody, maybe a bit soapy? No doubt: sensual. I will go and try from a new(er) bottle in store. What I also like about the scent: the note is NOT her, Ormonde Jayne, but: Geza Schoen! Likey! Molecules 02 did not have the power to enchant me enough to spend 110€, Ta’if does have the potential. Yay, you reviewed my #1! Ormonde Woman is the answer I always give to “If you had to choose only one……” One thing I am very impressed with is the Discovery Set, probably the most classy presentation of a line I’ve ever seen. It would make a beautiful gift for someone wanting to dip their toes into perfume waters. Yay! Ormonde Woman must almost be your holy grail scent then? I agree re the Discovery Set, it would be a great gift for a perfume newbie. I’m fond of woody scents generally and OJ Woman is one of my absolute favorites. It’s on my FB list now I’ve used up my sample…Tolu is my number two favorite of the line but they are all truly lovely. You’ve reminded me that I still need to try Tolu properly!